Machu Picchu lies between the limits of the natural regions of the sierra and jungle of Peru; in addition, of being at a considerable height (2440 masl). This leads to a very common health problem, altitude sickness; commonly called “soroche”. Let’s get to know more about this topic, as well as some health suggestions for a full stay in Machu Picchu. How long does it take to acclimatize in Cusco, to do trekking or other activities? What vaccines do I need in Peru? What other health recommendations should I keep in mind? At high altitudes, some people may experience altitude sickness, also known as acute mountain sickness or SOROCHE, this is associated with the lack of oxygen that occurs at high altitudes. It may present with headaches and nausea, even stronger symptoms, which in some cases require hospitalization. Proper acclimatization will prevent you from getting sick. How long does it take to acclimatize in Cusco to do trekking or other activities? At least 2 days of acclimatization are necessary before starting any activity in Cusco, and although it could be only one, that is the time recommended by doctors for a good acclimatization to more than 2,500 masl. The Sacred Valley of the Incas, located at 2,800 masl. is the best place to acclimatize before visiting Machu Picchu, or any other experience in Cusco (3.390 masl.). Altitude sickness (Soroche). What to do? It is possible to prevent altitude sickness, for this, it is advisable to drink plenty of liquid and avoid as much as possible heavy meals and physical effort, especially while in Cusco. The mate of coca is used since the time of the Incas and is a natural and effective remedy to prevent and alleviate altitude sickness. But if you prefer the medicines; Sorojchi Pills is very effective to combat it. It is known that those over 50 are less likely to get sick from altitude sickness; however, from experience, we know that altitude sickness can attack anyone, regardless of their physical condition, age or health status. Keep in mind how to combat altitude sickness, especially if it comes from cities near sea level. Machu Picchu is located at 2,400 meters above sea level, so you will not have to worry too much about altitude; however Cusco is located at 3,399 masl, take your precautions. 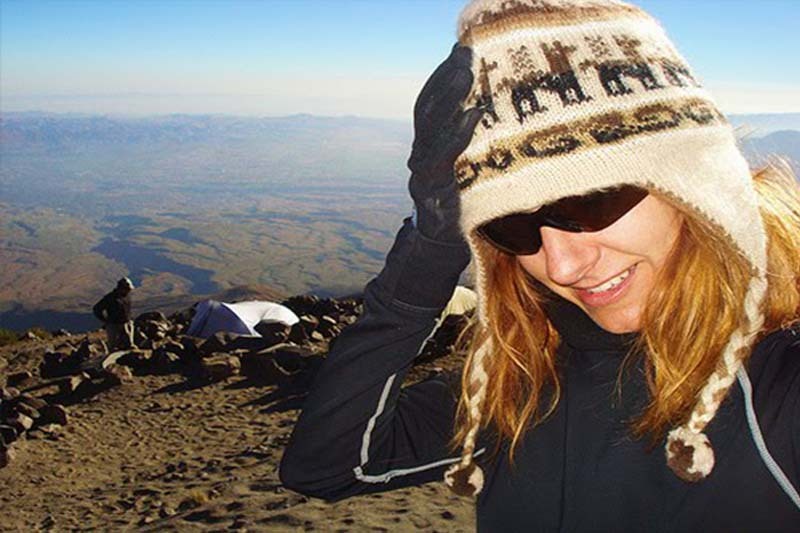 Not having a correct acclimatization increases the risk of getting sick from altitude sickness; The most common symptoms are headaches, nausea, dyspnoea and lethargy. In many cases hotels in Cusco receive their guests with mate of coca, but it is advisable to take it even before arriving at the City of Cusco, in this way will reduce the chances of getting sick. Everything will be very easy if you have a flexible schedule on the first day of your arrival. Taking the necessary precautions and following the usual advice, altitude sickness will not cause greater inconvenience in your trip, being able to enjoy in fullness the Inca wonder and all that Cusco has to offer. No special vaccines are required to visit Machu Picchu, Lima, Cusco, Lake Titicaca in Puno or the Cordillera Blanca in Arequipa, Peru. But we recommend consulting your doctor about your individual needs on a trip like this. In case you plan to visit the Amazon rainforest, Iquitos, Puerto Maldonado, or the Manu biosphere reserve, before or after visiting Machu Picchu, you may need some kind of vaccination; you can check the necessary vaccinations at the “United States Disease Control Center”, your website is constantly updated and can be consulted about the vaccination needed for travel to any part of the world. The town of Aguas Calientes offers many options to enjoy Peruvian food; nevertheless you must be careful when choosing the place to eat, check that it keeps adequate hygienic conditions. If you did not know, digestion is slower when the height is higher, that is why we recommend avoiding heavy meals; not only to avoid indigestion, but also because it is a way to prevent altitude sickness. Do not drink directly from the taps in Cusco or Aguas Calientes; before drinking it, it must be boiled; On the other hand, you can buy bottled water, it is safer and you can find it everywhere. Avoid washing and bathing in the waters of nearby rivers and lagoons, which may be contaminated, causing serious infections in the eyes and ears. The pools are safe to take a bath. Do not miss the opportunity to visit the thermal baths of Aguas Calientes. In Peru and the surrounding areas, radiation is very high because of its proximity to the equator. It is recommended to avoid direct exposure to the sun and to use sun protection, even on sunny days (sun block, hats, sunglasses); ah and do not forget a powerful insect repellent, since it is in full high jungle.